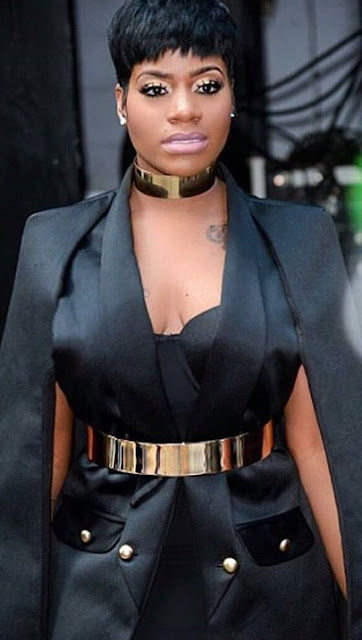 Fantasia is prepping for the unveiling of her fifth studio project entitled The Definition Of..., so in further preparation she made an appearance on Good Morning America this morning. The soul singer delivered the first performance of a new song called "I Made It" which she collaborated with Tye Tribbett on the gospel infused record. Watch the live performance below. During the performance of the song she sings about making it, "I made it, y'all! Still standing." Tasia's new album will be released this coming Friday, July 29th & will see music contributions from Stacy Barthe, Aloe Blacc & production from Jerome "J-Roc" Harmon, Brian Kennedy & R. Kelly.